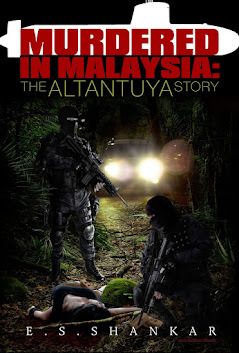 Donplaypuks® at http://donplaypuks.blogspot.com: DECLASSIFIED AUDITOR GENERAL'S 1MDB REPORT CORROBORATES E.S. 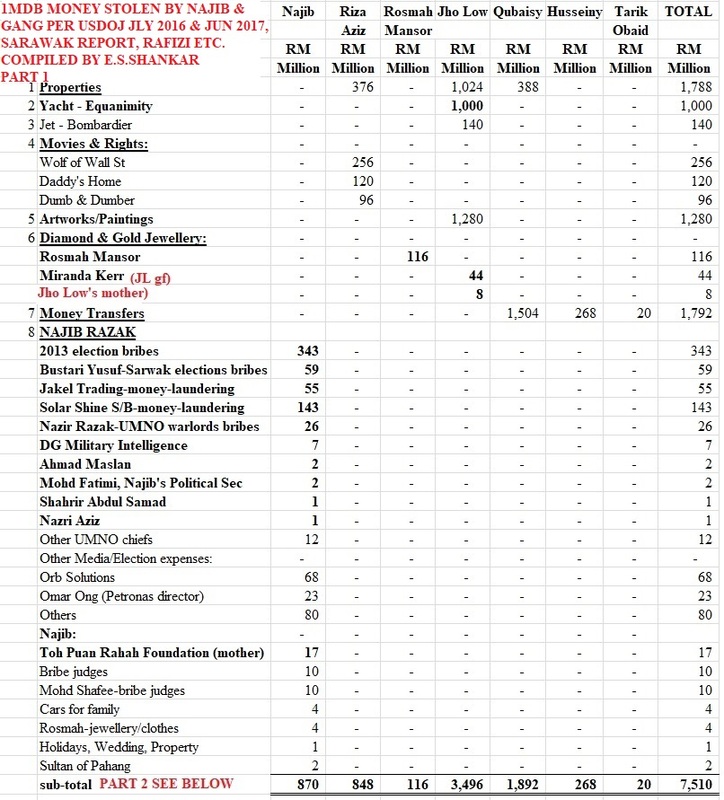 SHANKAR'S RM19 BILLION LOOTED BY NAJIB & GANG ANALYSIS! DECLASSIFIED AUDITOR GENERAL'S 1MDB REPORT CORROBORATES E.S. 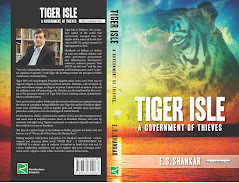 SHANKAR'S RM19 BILLION LOOTED BY NAJIB & GANG ANALYSIS! One of the matters which everyone is waiting for, is the release of the explosive Auditor General's 2016 Report on 1MDB. It was Unconstitutionally classified under the Official Secrets Act by Najib, to cover up his looting of 1MDB. A little bird told me yesterday that the AG's report clearly identifies that some RM16 billion went to the bank accounts of Najib and Jho Low. 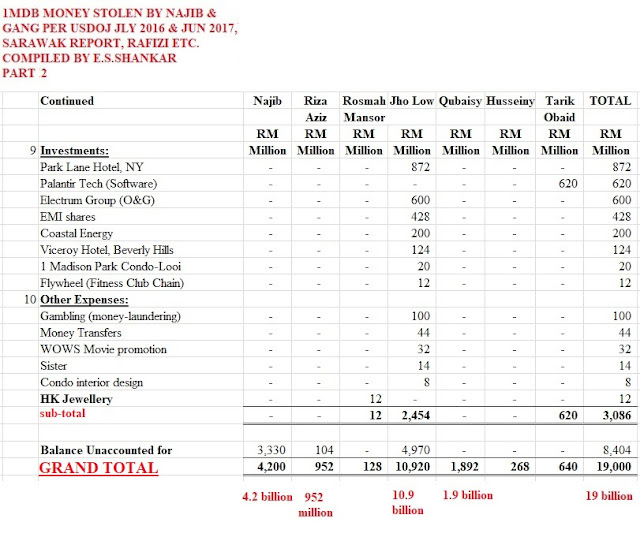 Above is my analysis of about US$4.5 billion = RM19 billion posted more than a year ago in my blog, Malaysia Chronicles, Twitter etc and quoted by many others in their blogs and tweets. 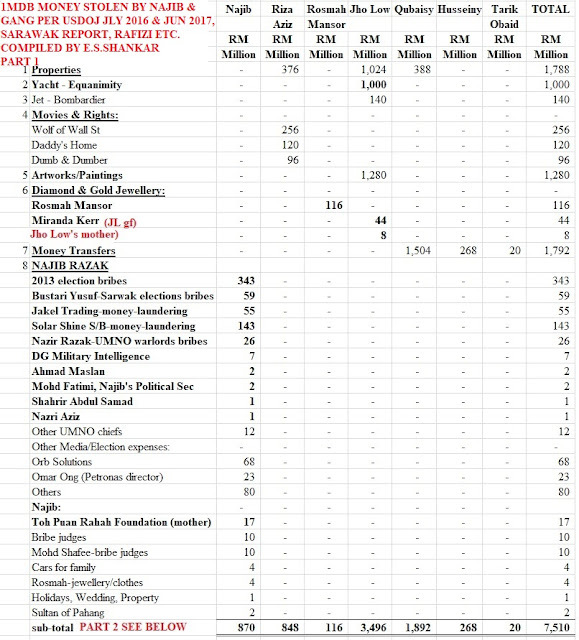 That sum was plundered by Najib, Rosmah, Riza Aziz (Rosmah's son), Jho Low and 3 Arabs. 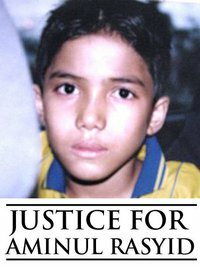 My information was based on two USDOJ affidavits, Sarawak Report, Rafizi and other reports by foreign newspapers. Btw, Najib replaced AG Ambrin Buang with Dr.Madinah Mohd who has no accounting qualification or audit experience. The fact that she is the wife of an UMNO Chief who said he was prepared to die for Najib is pure coincidence.